European deliveries can take up to 7 days. Deliveries to countries that fall under the "Rest of world" can take up to 14 business days. if you are concerned that your order has not arrived, please wait for the estimated delivery time before sending our care team an email (care@praktica.com). Alternatively call our customer services help line on +44 (0) 1941 768660 and we will assist you as soon as we can. Can I return my order if I am not happy? If your order turns up faulty or you are not completely satisfied with your purchase, simply return the item(s) to us in their original condition within 28 days of receipt. Please fill out our returns form and wait to hear from our customer service team before returning your item to us. Please note: returns cannot be accepted if the goods have been torn, damaged or tampered with. We ask you to take care of the goods you purchase while they are in your possession. This means that you may inspect the goods but tags should not be removed from any item and the original packaging should be retained. You can find the step-by-step procedure on our 'Returns and Warranty'page. If your order develops a fault after 28 calendar days from receipt, providing the item is within its warranty period, you are entitled to a warranty repair. Each product webpage will detail your warranty terms and conditions. If you believe you are entitled to a warranty repair please complete our Warranty Request Form and wait to hear from our customer services team. For more information regarding our returns or warranty policy please contact our care team on +44(0)1494 768660 or email care@praktica.com. The Returns Form asks for a serial number, where do i find it? The Product serial number can be found on the product packaging, please note that not all of our products have serial numbers. Please type N/A into the form field if you product doesnt not have a serial number. My Camera will not turn on, what should I do? Please make sure that the battery is inserted correctly, the terminals on the battery must touch the contacts on the camera and the arrow on the battery must point towards the Camera. Additionally please make sure that the terminals are clean. IMPORTANT: Please remove the battery if the camera is not being used for an extended period of time. I have lost my product manual, can I find it on your website? Yes you can find a downloadable product manual on every product page. The camera lens is stuck and will not open, retract or extend, what can I do? Do not force the lens to go back in, the wrong battery may have been inserted or the batteries charge may be low. Do I need the CD my camera came with to transfer images from my camera to computer? No you do not need the CD to transfer images and videos from your camera to your computer. The CD includes the camera manual in 5 languages and video editing software. Connect your camera to your computer using the USB cable provided or insert your memory card into your computer using a memory card reader. Where can I find the password to connect my camera to my phone? The first time you connect your camera to your phone you will need to use the default password '12345678'. A detailed step-by-step guidecan be found in the Z212 product manual. Why can't I change the ISO on my WP240? If image stabilization is on, ISO will be set to AUTO. To manually set the ISO, please turn image stabilization off. The first time you connect your camera to your phone you will need to use the default password '12345678'. A detailed step-by-step guide can be found in the Z212 product manual. What is the best way to transfer videos from my camera to my phone? We recommend that you use the MX Player app. Download the product manual and follow the step-by-step guide on how to connect your phone to your camera‘s Wi-Fi. IMPORTANT: Please note that IOS devices do not support video file transfer. Is the Link123 app supported by all smartphone systems? No the Link123 app is only compatible with Android and iOS smartphones, it is not supported by Windows. IOS & android operating systems are compatible with Link 123 on this camera. Link 123 does not support windows phones. How many photos can the internal memory of the Z35 hold? How do I get the SuperCar software to work on my iMac? Follow our step-by-step guideon how to find and install the SuperCar Software for Mac on the iTunes Store. What Memory Card would you recommend I use with my car cam? Once your memory card reaches full capacity it will begin to overwrite the content. For that reason we recommend purchasing a PRAKTICA 32GB Class 10 Micro SD Cardto optimise space. How do I ensure important videos do not overwrite? Once your car cam detects vibrations caused by a collision, the Collision Detection function will launch Emergency Mode. This ensures a new file is created for your content, which is protected against the normal overwritten recording cycle. When Emergency Mode launches you will be able to see the word 'Emergency' in red on the LCD Screen. If you are worried that the camera has not launched into Emergency Mode you can manually touch the triangle symbol on the LCD screen. Collision Detection function is set to medium by default. For more information click here to download our product manual. Is the on-board microphone omnidirectional or directional? This microphone is omnidirectional, which means it picks up sound from just about every direction equally. Can you mount an external microphone to the camcorder? I'm a first time buyer and I'm not familiar with the technical terms used on the product pages, where can I get help? 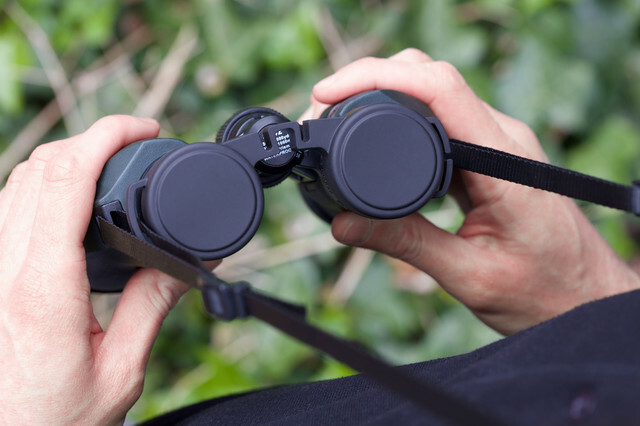 Deciding which binoculars to purchase can be a confusing task, so we’ve put together a Binocular Buying Guide which will explain the most commonly used terms and should help you find the correct binoculars for your specific needs. If you still need help or advice, please feel free to contact us at care@praktica.com or call us on our helpline +441494 768660 . Is my eye piece cover broken? One eyelet on your eyepiece cover has been cut to ensure that when using your binoculars your eyepiece covers can hang to one side on your neckstrap. This ensures your eyepiece cover won't get in the way when using your binoculars and won't be misplaced when on the go. How can I take better care of my binoculars? Please make sure that your binoculars are stored in a cool, dry place. If your binoculars have rubber fold-down eye-cups, it's important that you ensure they are stored with the eye-cups rolled up in order to avoid damage and tear. Can I attach my binoculars to a tripod? The majority of our binoculars can be attached to a tripod when using our PRAKTICA Tripod Adapter. You can find out if your binoculars are tripod compatible by reading the product specification table on the specific product page. Will the PRAKTICA digiscoping accesories work with all spotting scopes? No, the PRAKTICA Digiscoping Compact Camera Mount and the DSLR Camera Mount are only compatible with the PRAKTICA Hydan Spotting Scopes series (15-45x60, 20-60x77 and 25-75x90).